This recent addition to the Homecoming video series features an incredible evening of music honouring our faith and the God-given gift of freedom. Filmed live at New York City's legendary Carnegie Hall, "Let Freedom Ring" features spiritual and patriotic classics, plus lots of great laughs and some surprises you're sure to enjoy! 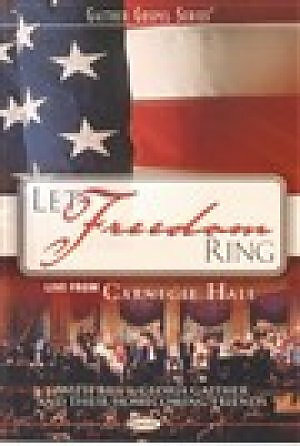 Let Freedom Ring by Gaither Homecoming was published by Provident in November 2015 and is our 13825th best seller. The ISBN for Let Freedom Ring is 0617884445393. Be the first to review Let Freedom Ring! Got a question? No problem! Just click here to ask us about Let Freedom Ring.